We are so proud to have won the Incgen 5 star awards. 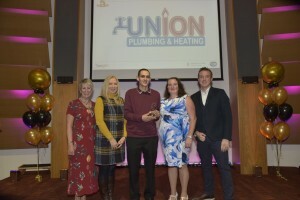 We won the award for our great website which allows customers to book a plumber online. This is extremely rare on Plumbers websites and is a completely unique part of our business. 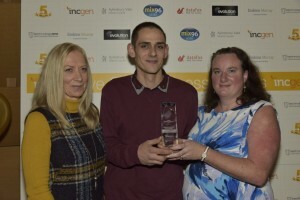 I would like to say a massive Thank You to Incgen and radio for all their hard work on the night, my lovely wife Sarah-Jane Andrews for her support over the last 7 years and of course Alcom Computing for producing the great website which won us the award. Thank you everyone. JAS Plumbing and Heating has been shortlisted for a 5 star award from Incgen in partnership with district council and radio. The shortlisting is to recognise JAS Plumbing and Heating as “online business of the year”, this celebrates our innovative new website which allows our customers to book online, allowing complete freedom to book a slot that suits them. One of the biggest complaints we hear every day is that tradesmen dont turn up, dont let customers know they are running late or they double book temselves. In the last couple years we have been working hard to make our customers life a whole lot simpler and help our customers gain confidence back in tradesmen. 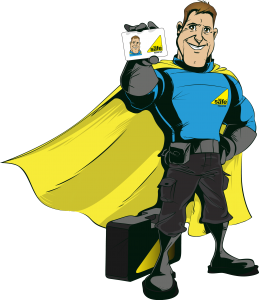 It is our aspiration that all tradesmen use this service to prevent no shows, late arrivals and double bookings, building confidence in tradesmen once again. We are proud to be supporting Gas Safety Week 2016, taking place between 19th – 25th September. Gas Safety Week is an annual safety week to raise awareness of gas safety and the importance of keeping gas burning appliances maintained. It is co-ordinated by Gas Safe Register, the official list of gas engineers who are legally allowed to work on gas. Badly fitted and poorly serviced gas appliances can cause gas leaks, fires, explosions and carbon monoxide poisoning. Every year thousands of people across the UK are diagnosed with carbon monoxide poisoning. It is a highly poisonous gas. It is Impossible to see it, taste it or smell it but it can kill quickly with no warning. • Consumers should watch for warning signs that their appliances aren’t working correctly e.g. lazy yellow or orange flames instead of crisp blue ones, black marks on or around the appliance and too much condensation in the room. • Homeowners should know the six signs of carbon monoxide poisoning – headaches, dizziness, breathlessness, nausea, collapse and loss of consciousness. • Consumers should have an audible carbon monoxide alarm. This will not only sound an audible alarm if there is carbon monoxide in your home but will also help to give you peace of mind. For gas safety advice or to find and check an engineer visit the Gas Safe Register website at www.GasSafeRegister.co.uk. Furthermore you can call Gas safe for free on 0800 408 5500. Get In contact to discuss how we can help you. Click here to get in contact today. What is ERP and JAS Plumbing? It is a new European regulation for energy labeling and ecodesign of all space and water heaters and will be mandatory for all 30 countries in the EU. It defines minimal levels of product efficiency to help the EU achieve its 20-20-20 target to reduce green house gas emissions and other adverse environmental impacts throughout the life-cycle of a product by 20 per cent and increase share of renewable energies by 20 per cent by 2020. As a result of energy efficiency measures, buildings are consuming less energy, inefficient equipment is being phased out from the market and labels applied to household appliances such as televisions and boilers have enabled consumers to make informed purchasing choices. ON 26TH SEPTEMBER 2015 THE LEGISLATION CHANGE COMES INTO FORCE WHICH WILL AFFECT ALL DOMESTIC BOILERS AND HEATING SYSTEMS WITH OUTPUTS LESS THAN 70kW. ALL BOILERS WITH OUTPUTS UP TO 70kW MUST MEET MINIMAL LEVELS OF EFFICIENCY AND SHOW AN ENERGY CONSUMPTION RATING LABEL SIMILAR TO WHAT YOU WILL SEE ON OTHER HOUSEHOLD WHITE GOODS. • A printed energy label that includes the efficiency class for every boiler with outputs less than 70kW. This must be present at the point of sale. • A product fiche which will be included in all product literature for the product, such as user or installation guides. • Reference to the energy class in all product advertising and technical promotional material such as price guides, posters or marketing brochures. BOILER INSTALLERS AND HEATING ENGINEERS WILL BE RESPONSIBLE FOR PROVIDING THE PACKAGE LABEL FOR A COMPLETE HEATING SYSTEM. You will need to calculate a system efficiency figure based on the different components of the system they have installed. This will then be added to the energy label when the installation is complete and left at the property of installation.